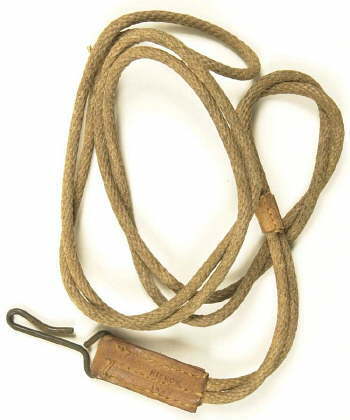 Carabine, M1, 30 cal. - I.B.M. 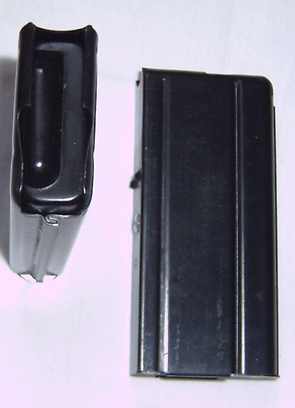 Corp.
Magazine, Carabine, M1, 30 cal. 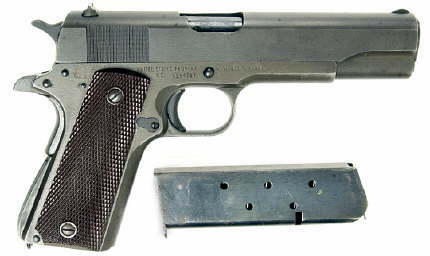 The preceding information was obtained from "Colt .45 Service Pistols Models of 1911 and 1911A1", by Charles W. Clawson. Rifle, M1 Garand, 30-06 cal. 8 Round Clip Loader, Rifle, M1 Garand, 30-06 cal. Armor Piercing (AP) cartridge (black point). Cartouche perforante (pointe noire) standardis�e le 16 novembre 1944. Cartouche lance grenade standardis�e le 11 février 1943 et ferm�es au bout par 5 plis en rosette. 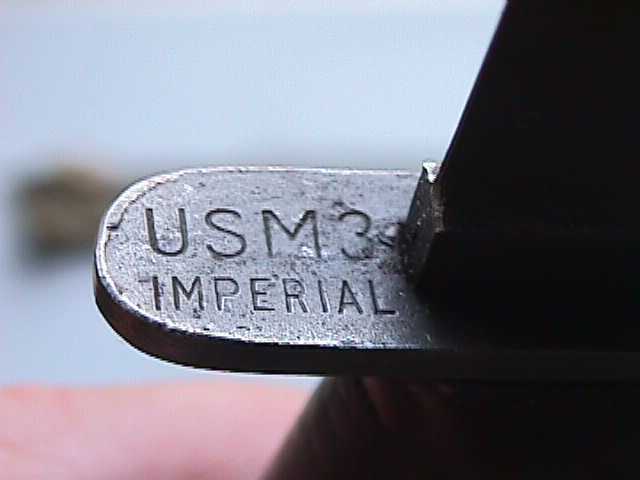 Tracing cartridge (red point) used for Thompson Submachine-gun. 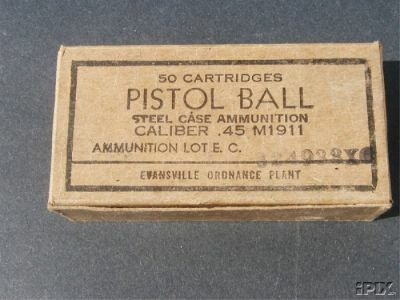 Cartouche tra�ante (pointe rouge) standardis�e en f�vrier 1939 et destin�e aux pistolets mitrailleurs Thompson. Cartouche standard adopt�e le 9 novembre 1939. - D.E.N. Cartridges, AP and AP M2, 30-06 cal. 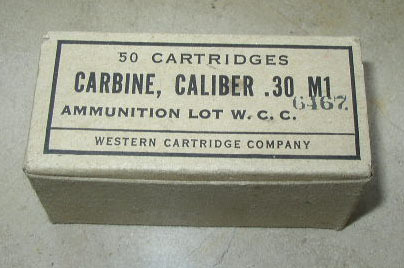 Cartridges, Tracing M1, 30-06 cal. Cartouche tra�ante (pointe rouge) standardis�e le 20 d�cembre 1941. 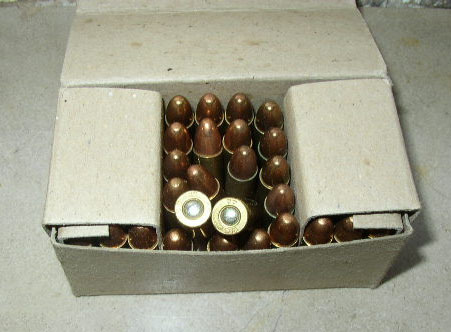 Cartridges, T1E4 (M1) I, 30-06 cal. Cartouche incendiaire (pointe bleue ciel). 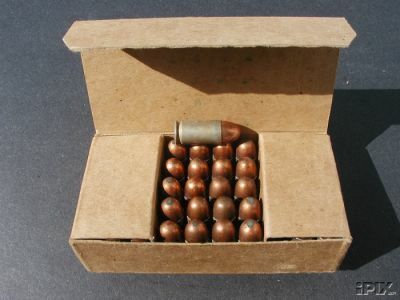 Cartridges, Rifle Grenade Blank, M3, 30-06 cal. Grenade launching cartridge (silver grey lacquered). Stock no. 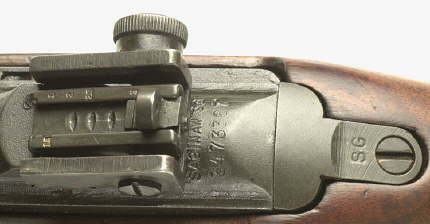 74-C-306 - KANAK Co.
Alidade de vis�e M-15 pour lance grenade se fixant sur la crosse des fusils Garand, Springfield et de la carabine M-1. 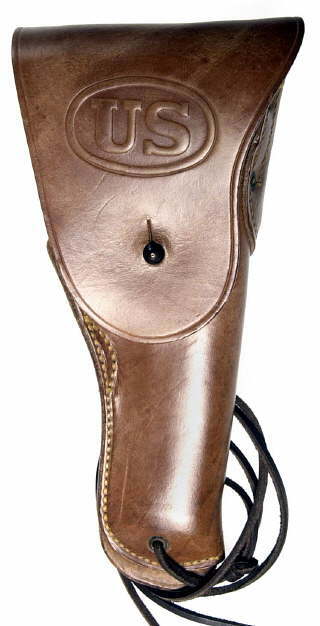 Holster, Pistol, .45 cal., M-1916 - BRAUER Bros. Mfg. - GRATON AND KNIGHT Co.
- WARREN LEATHER GOODS Co. 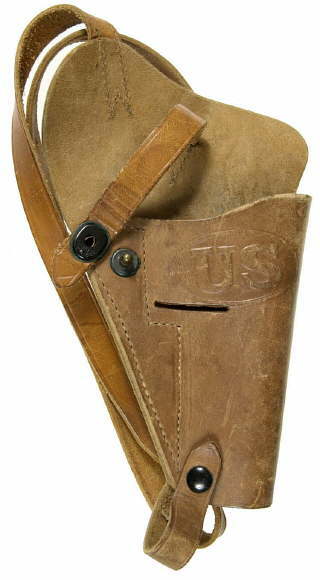 This holster was requested by the Air Force and standardized in october 1943 for wear by pilots and the crew. It was also adopted by armoured forces and paratroopers. Make in khaki web or olive drap web. 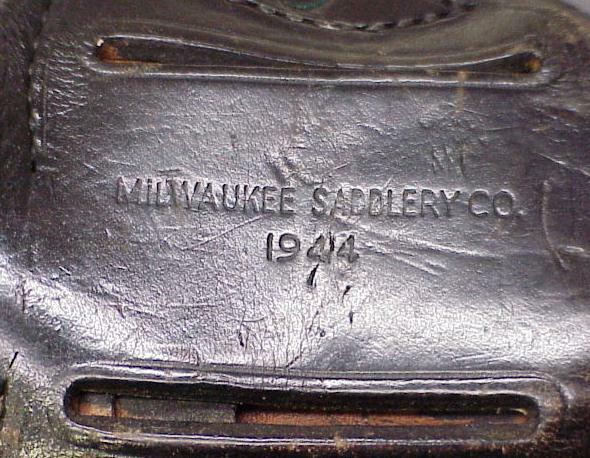 - BEARSE Mfg. Co. 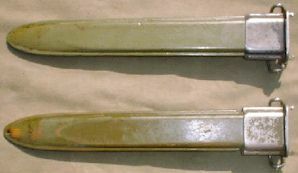 This Bayonet was originally 16 inches long, but was cut down to 10 inches in 1943. - WILDE DROP FORGE & TOOL Co. This Bayonet is originally 10 inches long. Leather grip with 5, 6 or 8 grooves, angled cross guard and 6 11/16 inches single edged blade. Blued or Parkerised finish, depending on maker. 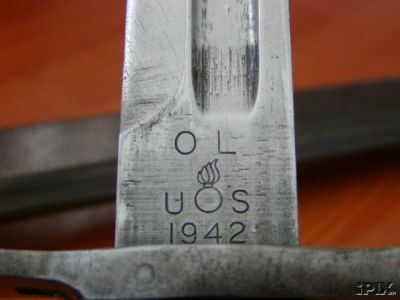 4 distinct variations exist: Early production (1943) blade dated & stamped with makers mark. 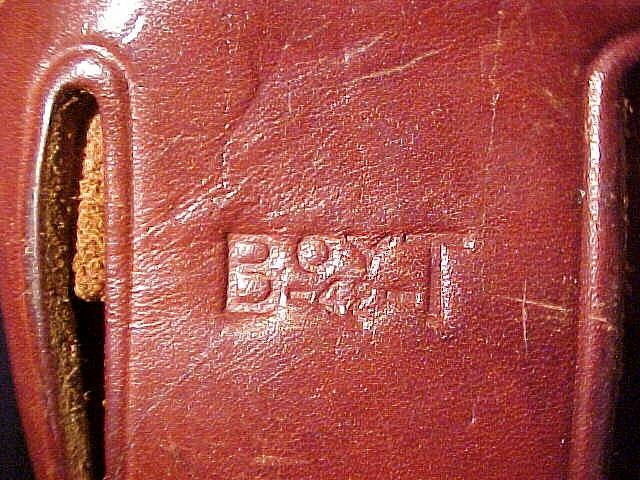 In brown leather M-6 scabbard with makers name & dated 1943. Scabbard has metal reinforcement plate on front, hilt retaining strap with press stud, belt slots & wire belt hook. 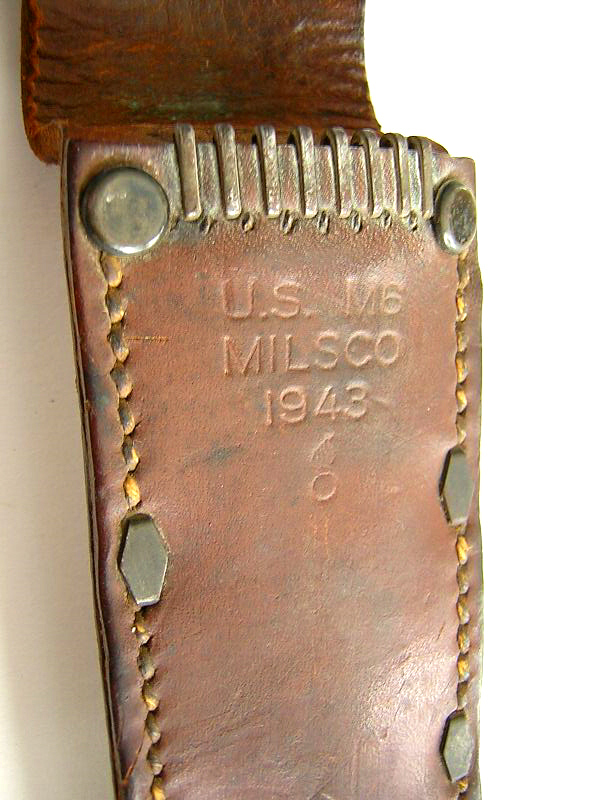 Mid production (late 1943) blade marked with maker's name but undated, issued with M-6 Leather scabbard or with OD plastic M-8 scabbard. 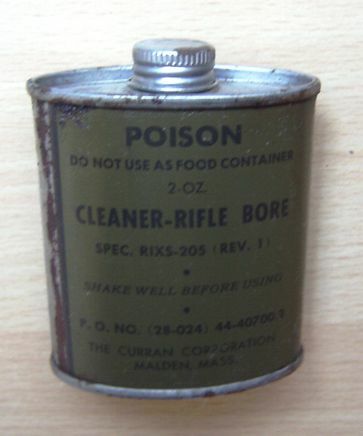 Late production (ceased July 1944) with makers name on cross guard. 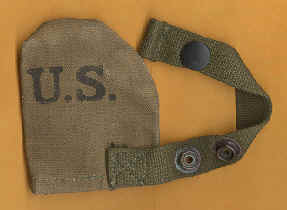 Usually issued with OD plastic M-8 or M-8A1 scabbard in OD plastic with long webbing belt loop. 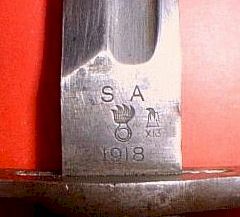 Late production, crossguard and blade marked, issued with M-8A1 scabbard. After the war a metal reinforcement is added at the scabbard tip. Le manche est en cuir et poss�de 5, 6 ou 8 gorges. La lame, � simple tranchant, mesure 17cm de long et peut pr�senter, suivant le fabricant, une finition bleuie ou parkeris�e. 4 types de fabrication existent : Les premi�res fabrications (1943). La lame est marqu�e avec le nom du fabricant, la d�signation USM3 et la date de fabrication 1943. 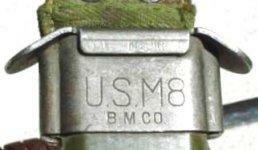 Les fourreaux sont du type M-6 en cuir renforc�s par une partie m�tallique et marqu�s avec la d�signation USM6, le nom du fabricant et la date de fabrication 1943. Les fabrications interm�diaires (fin 1943). La lame est marqu�e avec le nom du fabricant et la d�signation USM3. Les fourreaux sont du type M-6 ou M-8. Les fabrications tardives (jusqu'en juillet 1944). La garde est marqu�e avec le nom du fabricant et la d�signation USM3. Les fourreaux sont du type M-8 ou M-8A1, caract�ris�s par la partie en coton fil� plus longue. Les derni�res fabrications (fin 1944). La lame et la garde sont marqu�es avec le nom du fabricant et la d�signation USM3. 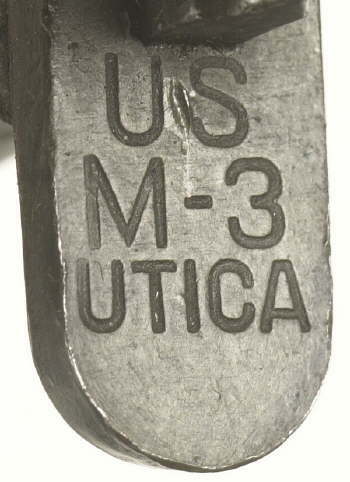 Les fourreaux sont du type M-8A1. Apr�s la guerre un renfort m�tallique est ajout� au niveau de la pointe des fourreaux M-8A1. - PAL BLADE & TOLL Co.
- AERIAL CUTLERY Mfg. Co.
- H. BOKER & Co. 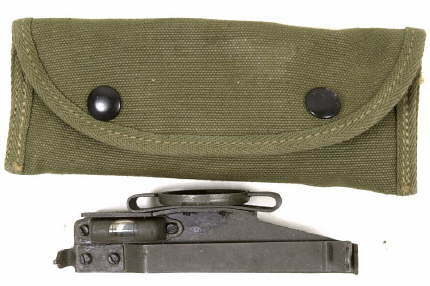 The bayonet M-4 is issued for the M-1 and M-2 carabine. Leather grip, straight cross guard with muzzle ring. 6 11/16" parkerised blade. 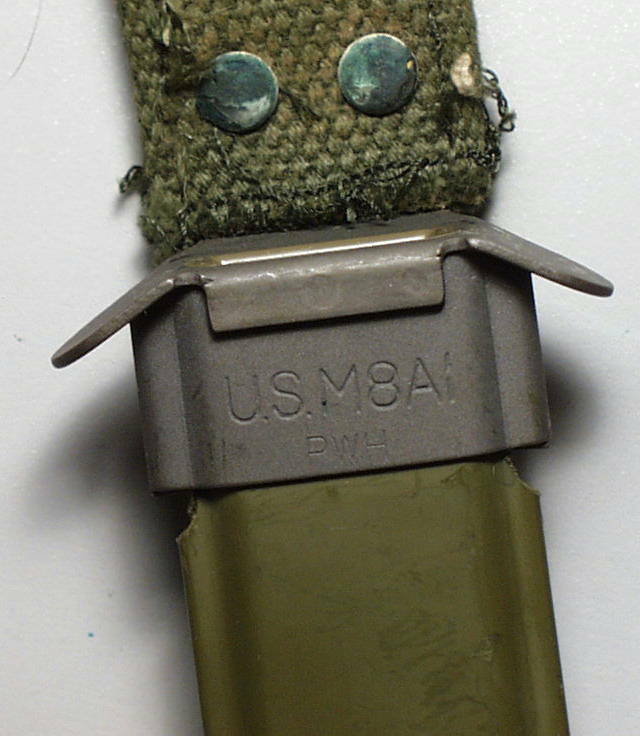 Issued with the green plastic scabbard M-8A1 with OD web belt frog and wire belt hooks.